Manny Pacquiao has signed the contract to fight Jeff Horn in Australia. Manny Pacquiao (59-6-2, 38 KOs) is currently in his third reign as the WBO World welterweight champion. This week he has signed the contract for his next bout in defense of the title. The boxing great out of Philippines is fighting Australian Jeff Horn (16-0-1, 11 KOs). The championship is held on July 2 at Suncorp Stadium in Brisbane. The pair was originally announced for April 23 but the challenge didn’t go ahead. 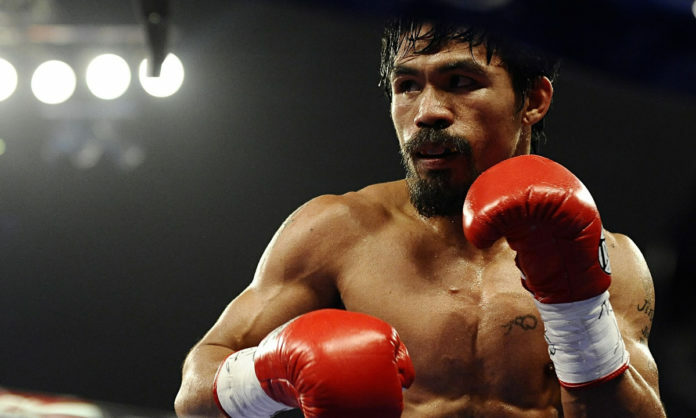 Instead, Pacquiao was looking to square off with British Amir Khan on May 20 in the UAE. However that contest didn’t happen either, due to the promised funds remaining unseen. The Top Rank promoter Bob Arum has been always skeptical in regards to the UAE deal with Khan. But the Hall of Famer has indeed put together the contest against Horn on Australian soil. Khan remains considered as a potential opponent for Pacquiao for October or November. The adviser of Manny Pacquiao, Michael Koncz told foxsports.com.au over the phone that his fighter has signed the bout against Horn on Wednesday. However the latter has not been a preferable opponent for the next bout of Filipino due to the level of his notability on the world scene. In addition, Koncz reflects on the Poll posted on Twitter in February. Amir Khan received 48% of votes. Jeff Horn received 7%.